ESTABLISHED WHOLESALE BUSINESS POSITIONED FOR GROWTH! · Internet based ordering system represents 80% of turnover. Based in a small boutique centre this business offers a solid surrounding client base combined with low rent. The site is central to the coast and quality inner suburbs. There is a large portion of duel income families with hungry children to feed. Most clients are regular with weekly purchases. 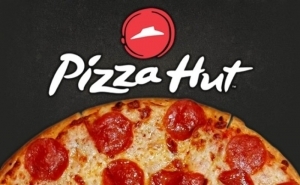 When it comes to Pizza it doesn’t get bigger than Pizza Hut. You will be part of a global team that is bringing new initiatives into the market to support you the owner. Most orders come in via their online ordering system. There is a well structured process that is easy to follow and delivers quality all the way. Casual staff are easy to train. You will be buying upgraded plant and equipment- a strong protective franchise agreement and stock to make a profit from day one. A functional lease will ensure your tenancy. Price: $249,000 inclusive of all plant, equipment and stock.